BTC - Today is May 11th - 6th Anniversary of the passage of the Real ID Act. 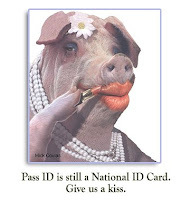 Downsize D.C. [ ol' faithful] calls in for back up with some D.i.Y DIRECT ACTION towards the repeal of Real ID. Obviously it's about a lot more than just Real ID anymore. The world is filled with all kinds of nasty data surveillance, data siezures, identity theft and information fleecing. Whether it's public or private, it's like living in public nowadays. MORE GRILLED APPLE & HANDHELDS: DOJ wants wireless providers to store user info -You can watch how the AG and Congress is handling mobile privacy here on CSPAN. Meanwhile, theres a federal pilot to put chips in cellphones for govt. sponsored alerts in NYC and D.C.
Copious Commentary ala .GOV data surveillance FLOGGER Jim Harper, who has to ask thrice: DO YOU WANT PRIVACY? Terms and conditions apply....If you want Privacy, we start by blinding you! Then increase government surveillance! Nevermind! WE NEED TO CENSOR! ZDNet's David Chernoff rebutts, Want privacy? Take Responsibility. Facebook is still in denial that people want privacy at all... Mission control; we certainly have a problem. IF YOU WERE IN A COMA... Wired.com's THREAT LEVEL BLOG has been doing some exclusive coverage of the FBI's mobile surveillance package which fits onto your car. There's a battle brewing over FBI's warrantless GPS tracking devices. They cover how to inspect and remove one of these bastards if you find one on your car. FYI: There's an International Summit on Health Privacy June 13 in Washington, D.C.
"Want Privacy? 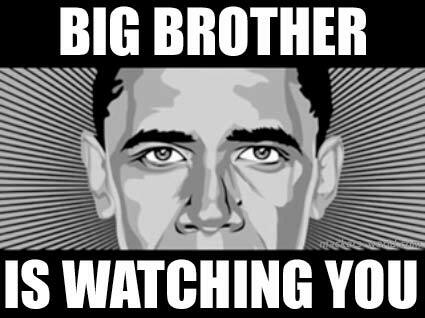 Increase Government Surveillance!" BTC - Pennsylvania liberty activist, Jim Compton, is calling for support for Pennsylvania Senate bill 354. 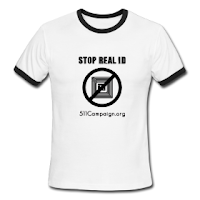 The bill, sponsored by Senator Folmer, intends to guard against furthering the adoption of Real ID regulations in the State of Pennsylvania. Local constituents in favor of the bill should contact members of the Communications and Technology committee requesting an AYE vote for the bill. SB 354 will be heard Wednesday May11th, 9 AM EDT at RM 8 E-A, East Wing of the Pennsylvania State Capitol. BTC - Plenty of Texans are concerned about federalizing of their identity and about the prospects of a national ID card coming to the State of Texas looming in bill, SB 9. Texas Libertarians aren't waiting to advocate against the police enforcement bill. They issued a call to direct action May 10th addressing the bill's intrusive nature and it's dangers to personal privacy. According to video footage of a Transportation and Homeland Security hearing March 30, the bill would propell Texas into Real ID compliant status. For more information about the May 9th Lobby Day and May 10 DHS Committee Hearing, click here. More and more evidence suggests a key piece of intelligence -- the first link in the chain of information that led U.S. intelligence officials to Osama bin Laden -- wasn't tortured out of its source. And, indeed, that torture actually failed to produce it. BTC - The following video was produced in Tennessee of Sen. Fred Nicely of Knoxville. Thanks to the Tennessee Sons Of Liberty.